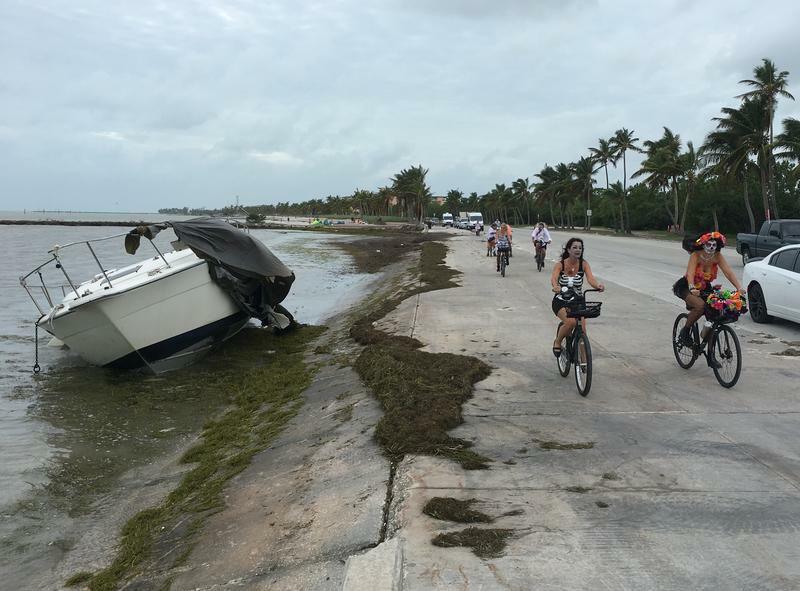 The Keys and the iconic Overseas Highway are a primary selling point — but also now a path that reveals the devastation from Hurricane Irma. Stacey Mitchell is head of the Keys Tourist Development Council and her job is to sell a subtropical paradise when parts of the island chain are still battered from the storm. The TDC collects a 4 percent tax on short-term lodgings in the Keys. That includes hotel rooms, RVs and vacation rentals. The money is used to promote the destination with advertising, support local events and help pay for capital projects like museums that attract tourists. Tourism is the major industry in the island chain. It's responsible for more than half the jobs and brings almost $3 billion a year to the local economy. But now the TDC is faced with a new problem — selling the Keys as a subtropical getaway after a major disaster. A little more than two weeks after the storm hit, Monroe County approved a special $1 million advertising campaign to bring tourists back. "We knew that for the residents, the most important thing was to get them working, get money in their pockets and get them back to work," Mitchell said. Key West — home to more than half the tourism industry — and Key Largo escaped the worst damage from the storm and were ready for business again by Oct. 1. Mitchell says the initial strategy was to place ads on radio within Florida. "And most people are saying, 'Why in the state of Florida?' Well, Florida’s our No. 1 market, believe it or not," she said. "But also so many of our wintertime feeder markets, New York, Philadelphia, Boston, DC, Chicago, they’ll either have friends of family in Florida." Still, people driving to Key West are driving past gigantic debris piles and other evidence of the storm's destruction. 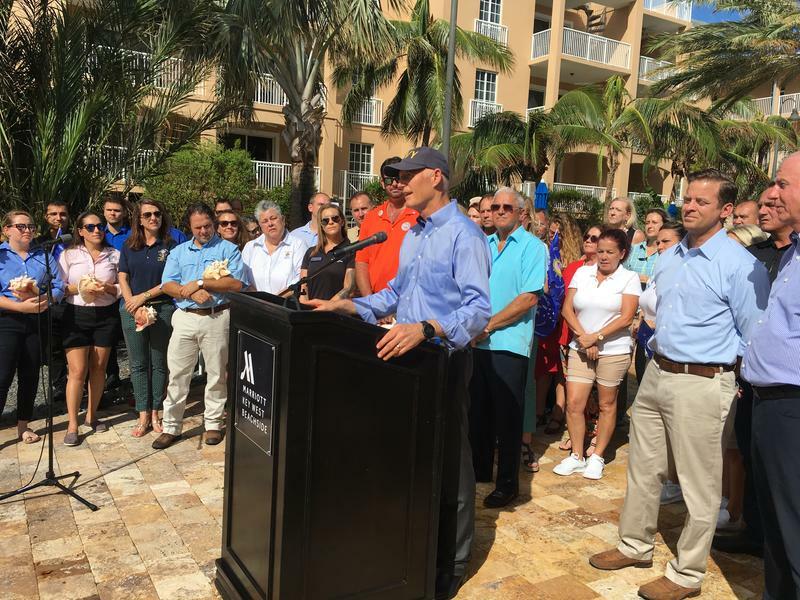 "I am very concerned about the debris that remains on U.S. 1. 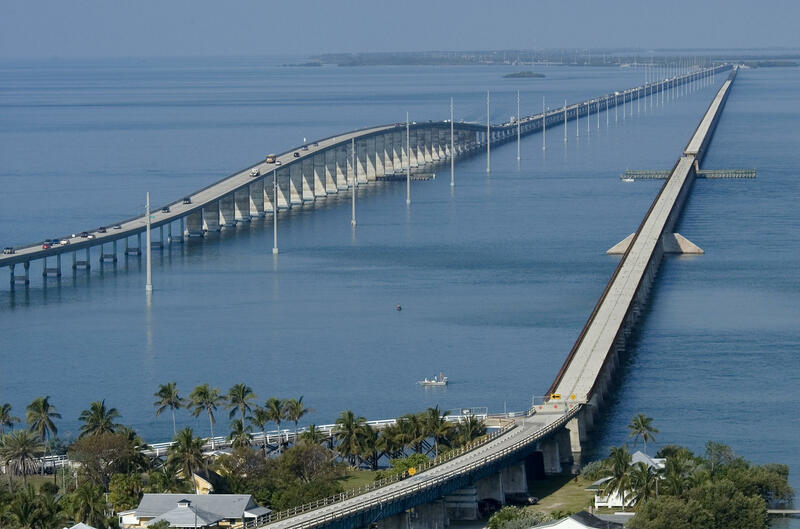 The overseas highway is a scenic byway. It’s one of America’s top 10 scenic drives and over 80 percent of the visitors to Monroe County drive," Mitchell said. She said she sees two potential upsides. "One is it’s keeping it real. That yes, we did get hit by a storm. We’re still in the recovery mode. There is no denying that. No. 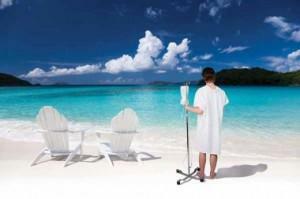 2, you know, the best way you can help us here in the Keys is book your vacation here." While the Tourist Development Council that Mitchell heads has been sending the message that the Keys are open for business since Oct. 1, some in the hardest-hit areas are angry that Key West is returning to its party town ways while they are still struggling to literally provide roofs over their heads. Mitchell said she can sympathize, based on her own experience in Hurricane Wilma in 2005. "I had about five to six feet of seawater in my house. I was employed here, at the Tourist Development Council. I had my residential hat that I wore at night and my tourism official hat that I wore during the day and it was an emotional struggle," she said. It was a relief, in some ways, to have a job that provided a sense of normalcy. But she still had to cope with her friends who lived on higher ground and didn't understand what life was like for those who were hit. "Nothing happened to them. They didn't have any flooding. They didn't have any longterm effects, negative impacts from the storm and their lives carried on shortly after the storm had passed," she said. "Meanwhile I had six to nine months of recovery effort that I was facing. It is a conflict." She said the TDC heard the "negative feedback, especially with the decision to continue on with Fantasy Fest and the powerboat races and the events going forward." But she said the primary impetus was to gear up the tourism economy, especially for the all-important season between Christmas and Easter. "It's all about jobs and putting money in people's pockets so they can make the necessary repairs to get their lives back in order," she said. "The sooner we get this economy back up and running again the sooner those repairs can be made."